The west coat of Puerto Rico from Bahia de Guanica to Punta Borinquen. Scale: 1 : 116.700. 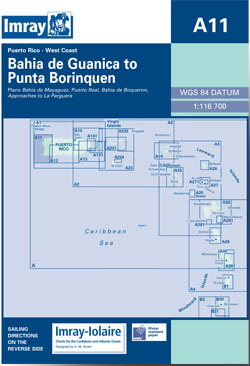 Larger scale plans of Bahia de Boqeron, Puerto Real, Bahia de Mayaguez, and Cabo Rojo to Punta Brea. Flat chart, water-resistant paper.